Exhibition of paintings, figurative drawings and prints. A record of my work in 2018. A group show to present work produced in an Art Academy project responding to the recent sale of the Leonardo Da Vinci painting, Salvator Mundi. Work selected to appear in a group exhibition of abstract painting. 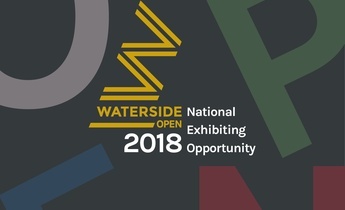 Finalist in this national competition and work exhibited in the finalist’s exhibition. I am delighted to have been selected for ‘Monochrome’, an exhibition at the Old Biscuit Factory, London. My painting Iron Will will be shown alongside artworks from UK-based and international artist will be displayed, including paintings, drawings, sculptures, photography and video – all black and white or with a limited colour palette.